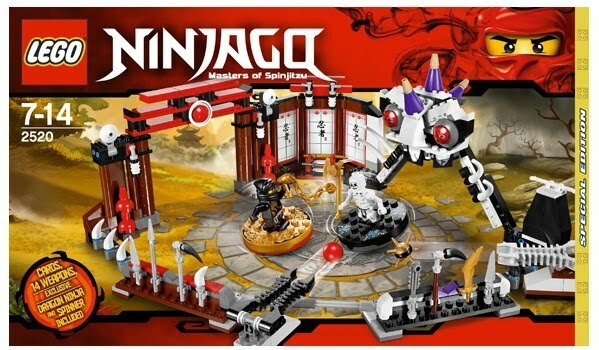 come with a battle arena. 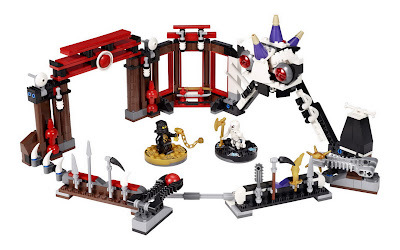 the arena has 2 ball shooters, windows, hero gate and evil gate. included 14 weapons: 2 scythes, 3 daggers, big golden blade, spiked blade, 3 swords, spear, pair of golden nunchucks, golden bone axe and bone weapon. 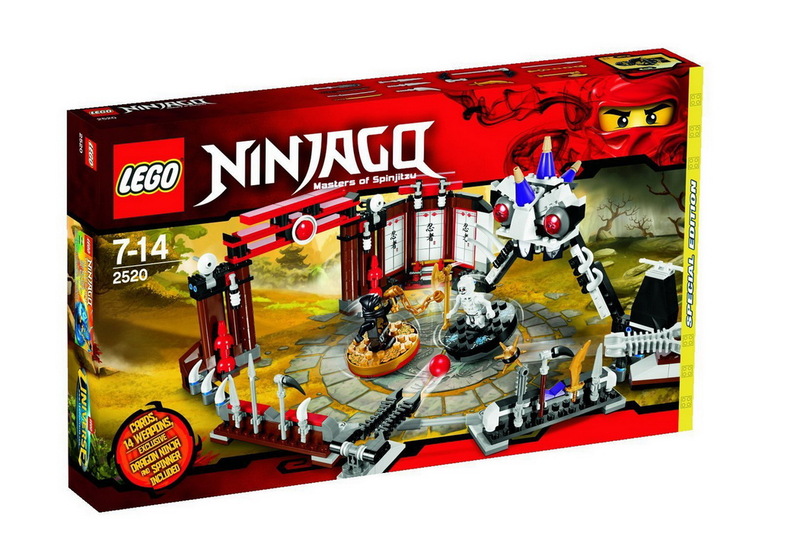 also included 2 spinjitzu spinners, 2 character cards and 8 battle cards. 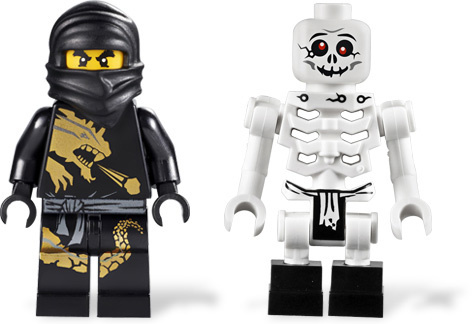 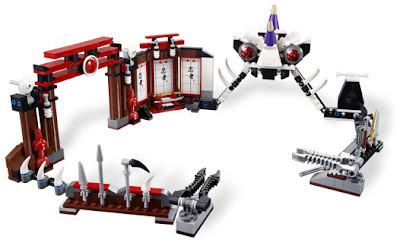 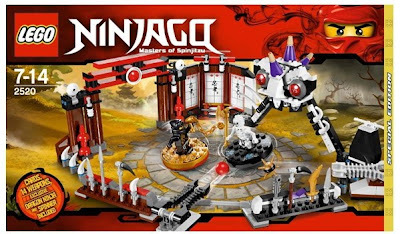 minifigs included a cole minifig in dragon suit and a bonezai minifig.